This small building is used as a sales pavilion by a major retail store in rural Ontario. 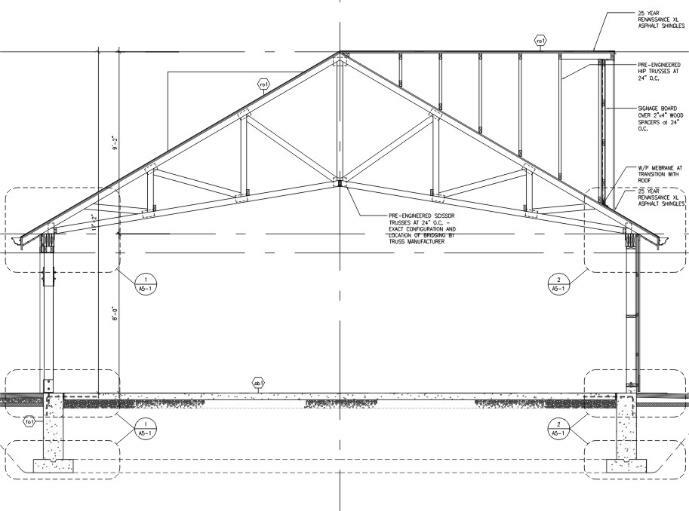 It features large glazed roll-up doors, an open design with scissor trusses and the rear side of the building is totally open for easy patron circulation and generous product display room. 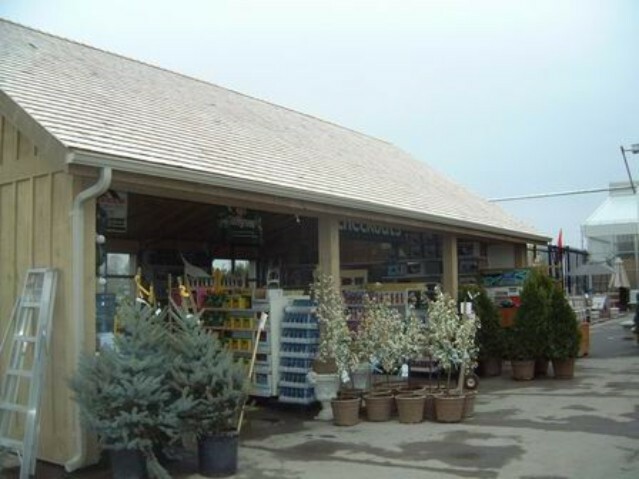 A picture showing a completed garden centre. 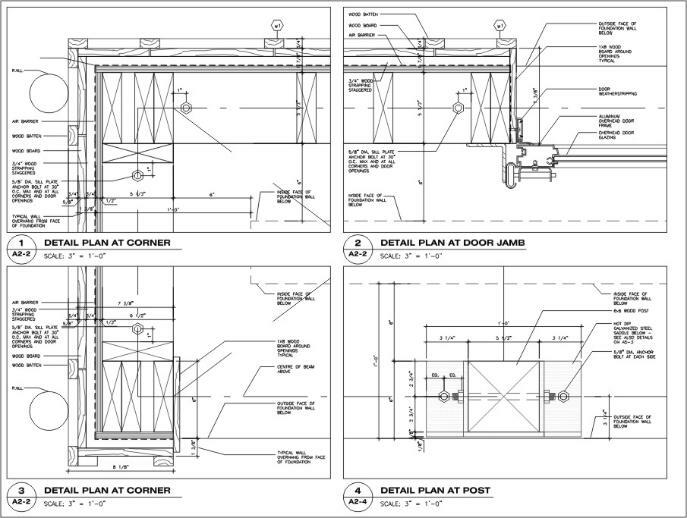 The CAD drawing of the retail side facade. 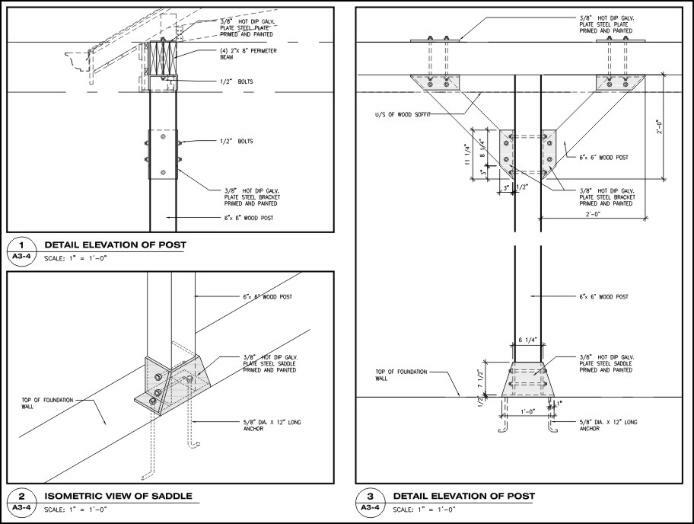 CAD building section showing the scissor truss construction.